I finished the 1995 Topps set. I purchased an eBay lot in the 2nd half of last year that finished off the last few cards I’d needed for this set. It’s been quite a while since I did one of these completed set posts – I’m glad to get it done! 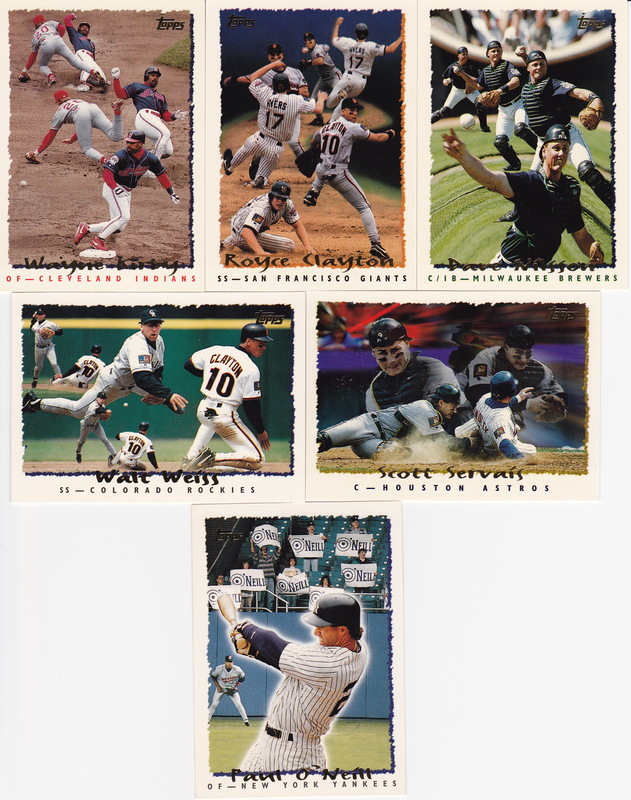 Now, 1995 Topps is not one of my favorite sets. I appreciate it more now than I did when it came out. But at the time, I just thought the sets like Upper Deck, Collector’s Choice, Pinnacle and some other sets were much nicer. The On Deck subset features dual-player cards, and the Prospects cards have 4 players, one from each level of the minor leagues. 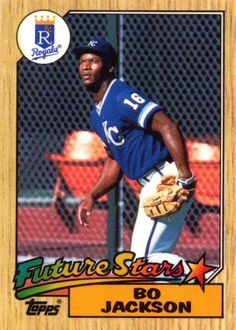 None of the guys in the Draft Pick subset made it to the show in ’94, and nobody in the Future Star set played in the majors either. 12 players from the On Deck subset and 3 players from the Prospect set played in the majors in 1994. 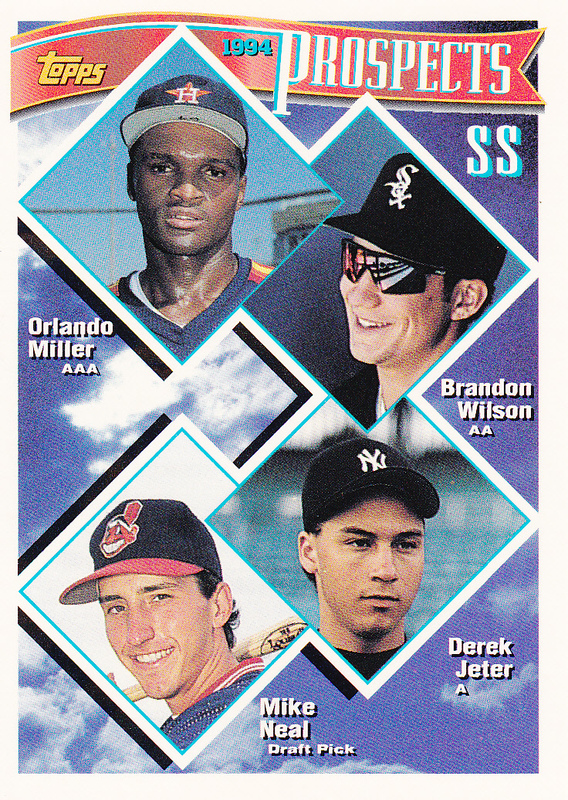 There were 5 guys with regular cards who didn’t actually play in 1994. Chipper Jones was going to start for the Braves in 1994, but tore his ACL in spring training. 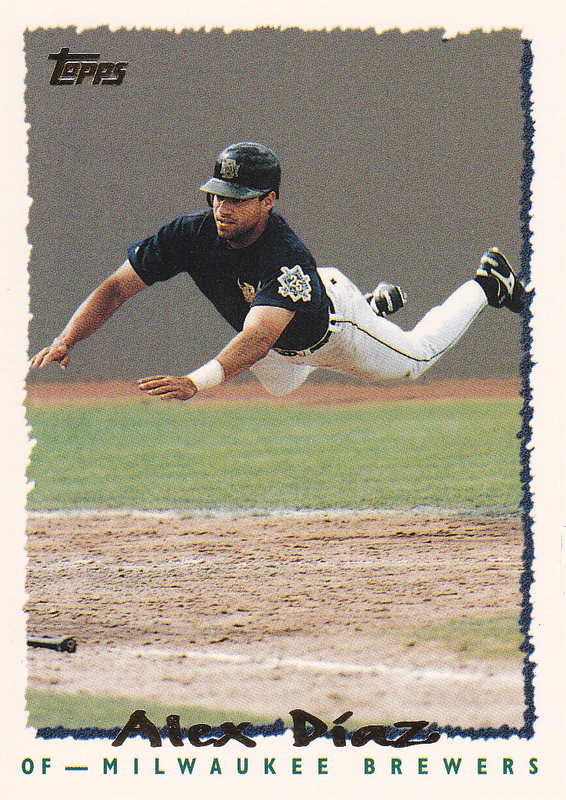 Benji Gil (in the Star Track subset) started on the Rangers 1993 roster, but after playing 22 games in 1993 he spent the entire ’94 season in the minors. 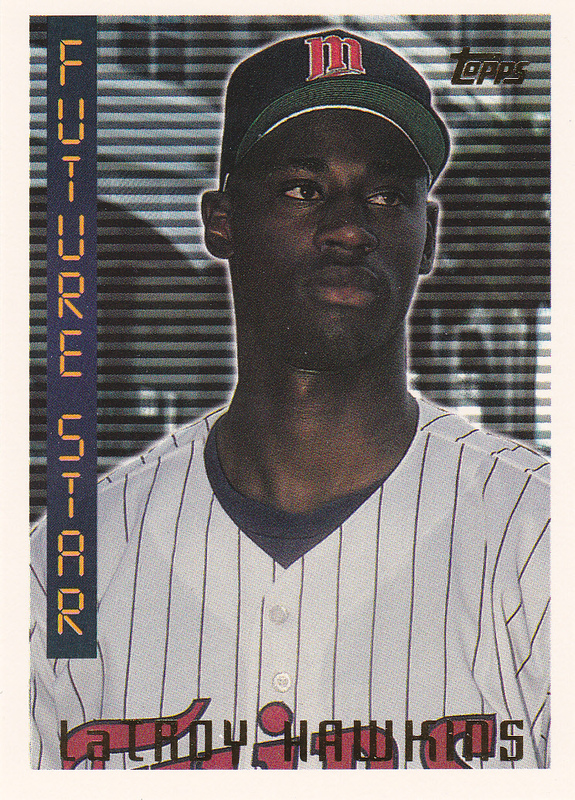 Nigel Wilson, the first expansion draft pick by the Marlins, played in 6 games in 1993 but none in 1994. Duane Ward, the Blue Jays’ closer for their 1993 World Championship, missed the whole 1994 campaign with a torn biceps. 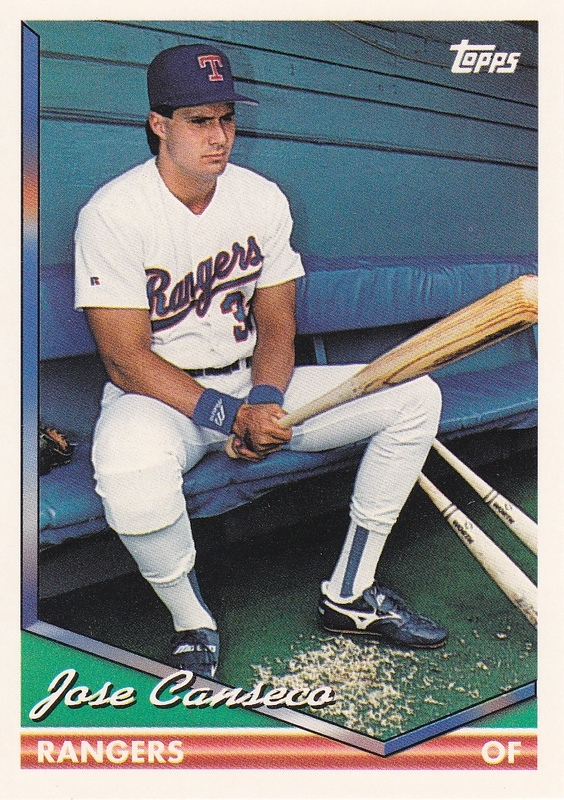 Lance Blankenship had his career cut short after shoulder surgery in 1993, but had a card in 1995 as he was trying to make a comeback. Ron Gant missed all of the 1994 season after a motorcycle injury. He got a card with the Reds en route to Comeback Player of the Year. 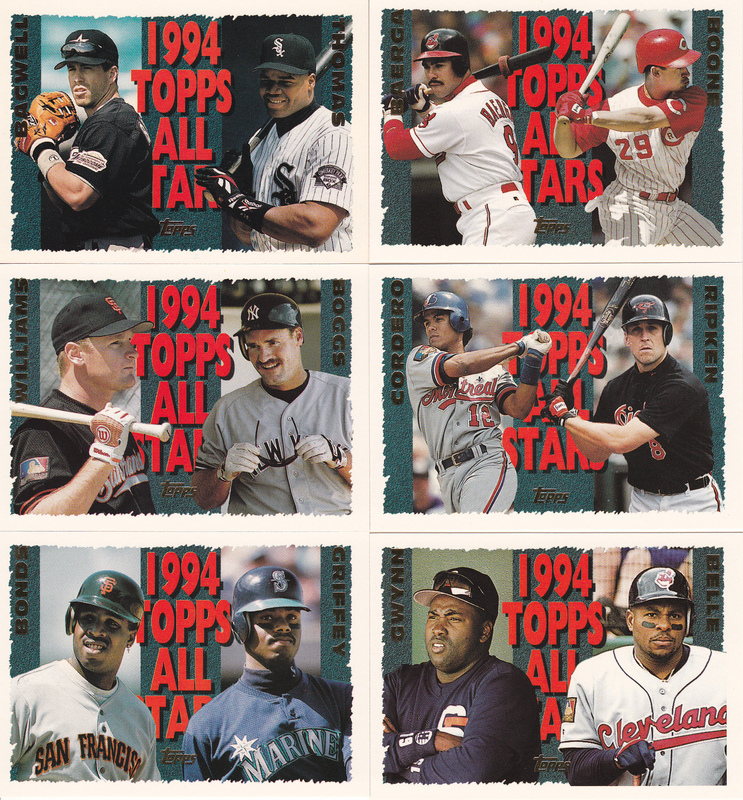 If you add those 15 On Deck / Prospects players to the 558 base cards and subtract the 6 guys noted above, that gives you 567 players who played in the Topps set who played in MLB in 1994. The 567 players represent 57.2% out of the 991 players who played in MLB in 1994. 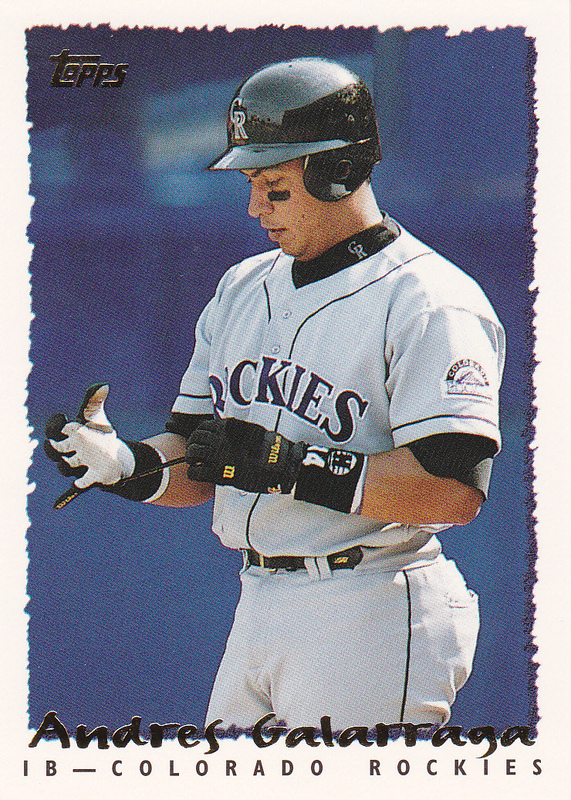 There are no players in this set that are active any more, though if I had got around to posting this when I completed it LaTroy Hawkins would have been the lone player remaining. Hawkins played for the Rockies in the start of the 2015 season, but was released in late July. He caught on with the Blue Jays and was an effective part of their bullpen, posting a 2.76 ERA as Toronto overtook the Yankees to win the AL East. Hawkins’ last regular season game consisted of one batter on October 3rd – he came in and got Tim Beckham of Tampa Bay to line out to end the 7th inning. He pitched in 3 games in the postseason, with what I can only describe as awful results. He lost game 2 of the ALDS, giving up 2 runs, then gave up 2 more runs in game 1 of the ALCS as Kansas City extended a 3-0 lead. Finally, in game 4 on October 20th, he gave up 3 runs in a 14-2 KCR route and couldn’t get an out. Alex Rios singled as the last batter he faced. Every player in the All-Star subset has 2 cards. 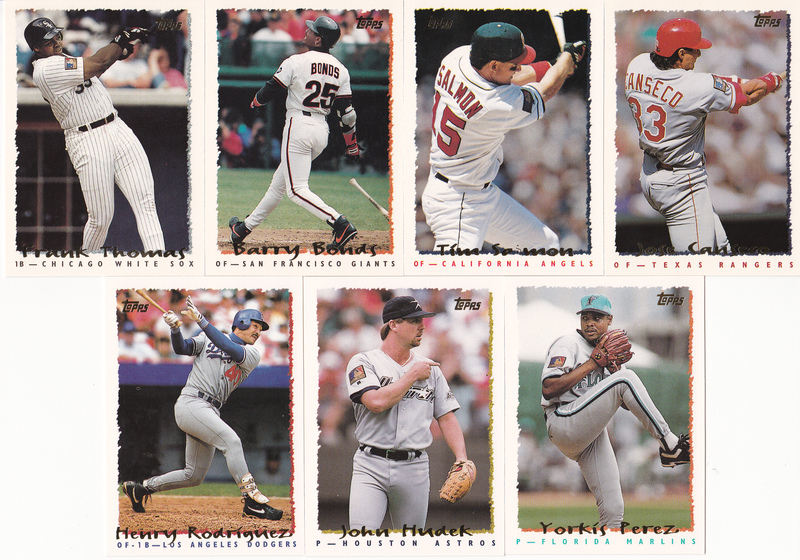 I’m not going to scan every card of all 22 guys, but here’s the whole All-Star subset. 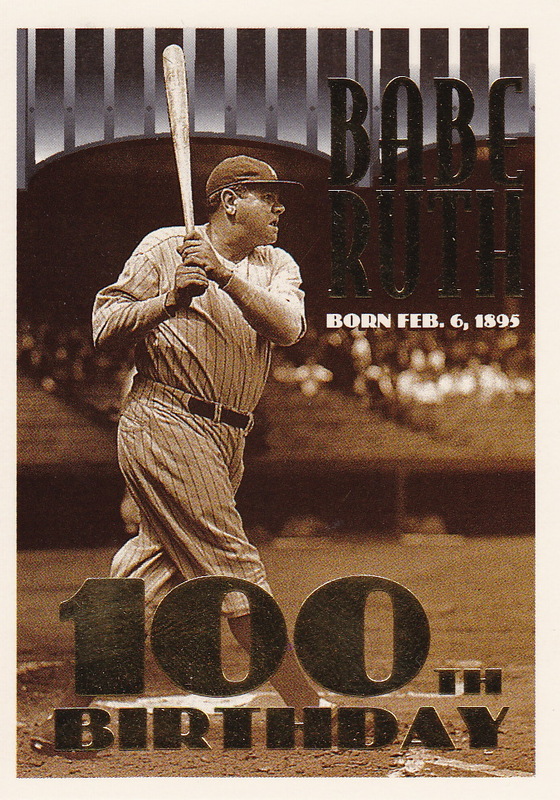 In the 2nd series, Topps kind of gave up on the star factor for the double-zero cards. 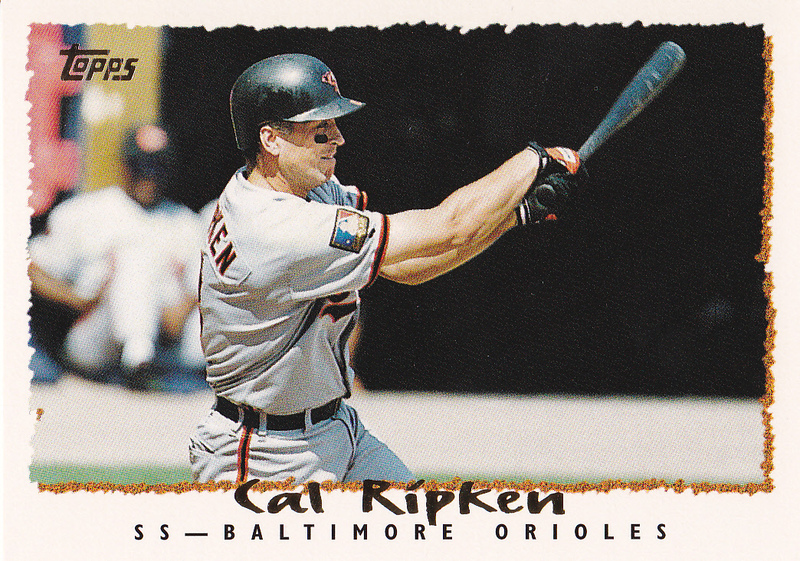 When there’s no big rookie or first Topps card, Ripken is usually going to be the answer here. 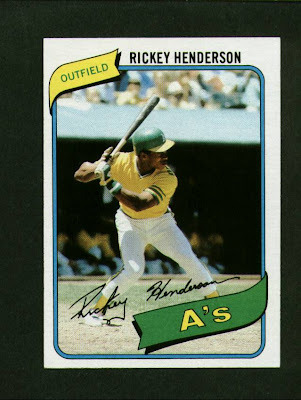 I hate to go with a card of a guy who isn’t active, but this set just doesn’t have anything notable in the way of rookies or an all-time photo. Good photos, but nothing that trumps this Ruth as far as notable. 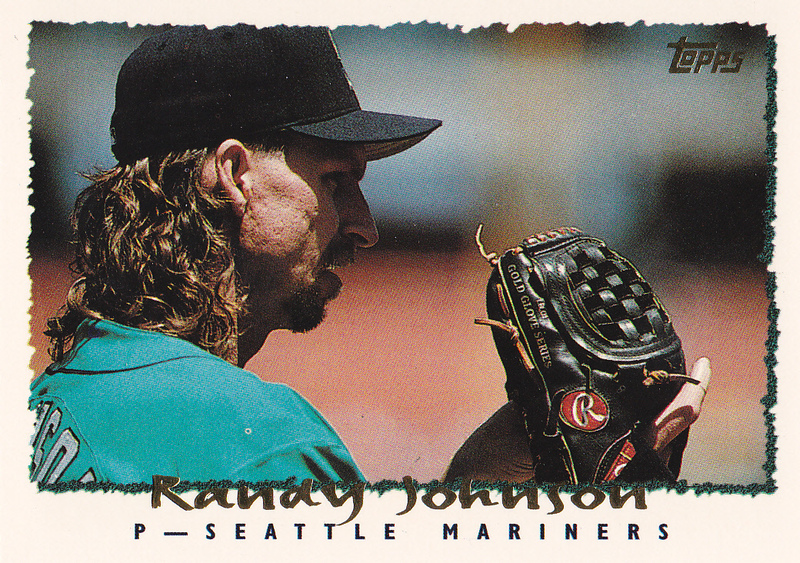 Captures the stare as good as any card of the Big Unit. 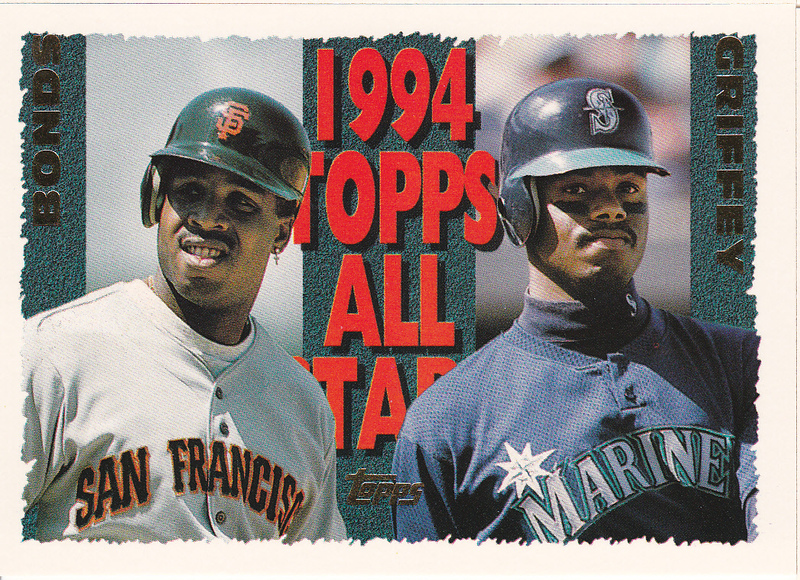 The best players of the 90’s – the only Topps base card with these two 2nd-generation stars. This was tough because there wasn’t one standout. I considered the Diaz from above, though it’s not the action itself. Alex Fernandez has a really cool card where he’s shown getting an out by barely tagging a runner out at first. And Chuck Carr has a cool card where he’s on the basepaths with a well-worn uniform. 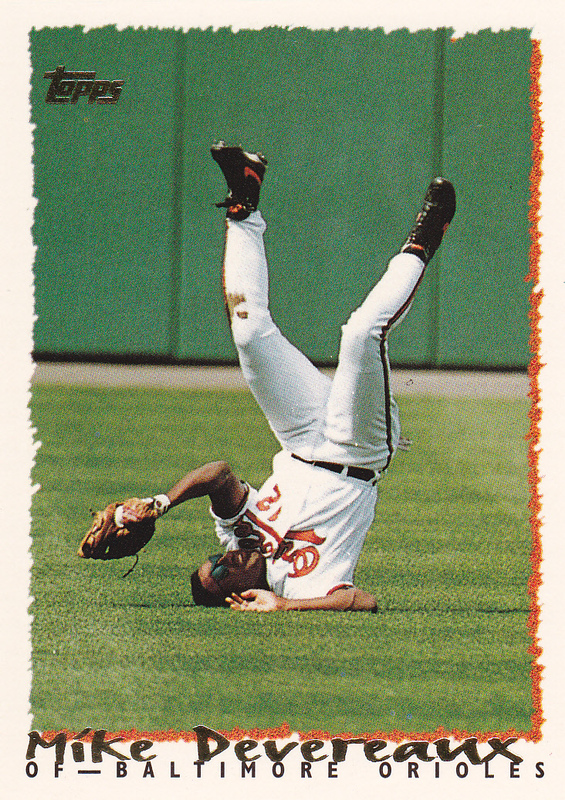 But this Mike Devereaux card where he’s literally upside-down – it’s the best pure action shot. You’ve got to wonder what the heck was going on, and wonder if he made the catch. A memorable card, for sure. 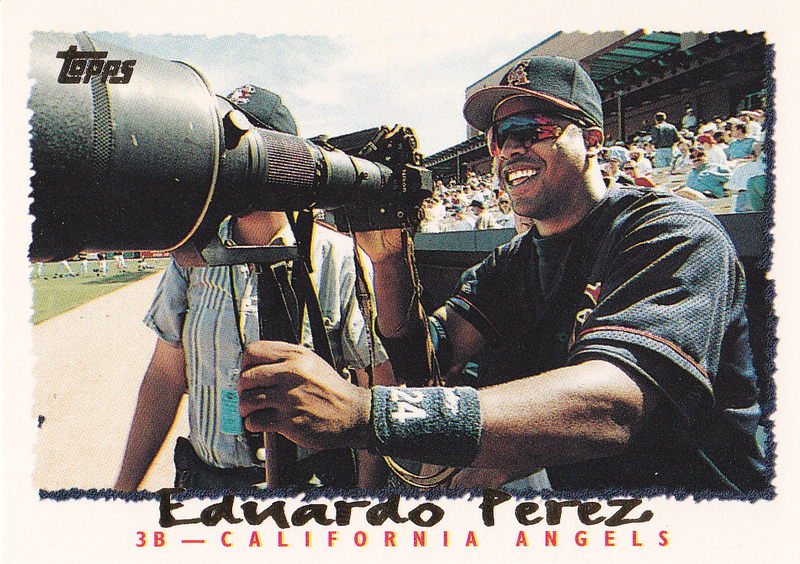 I’m all for props on baseball cards. This is very Upper Deck-ish of Topps. I wish they had done more like this. This beats out the Orel Hershiser card that I guess is more photogenic, but seems kind of cheesy with the blue sky and clouds in the background. 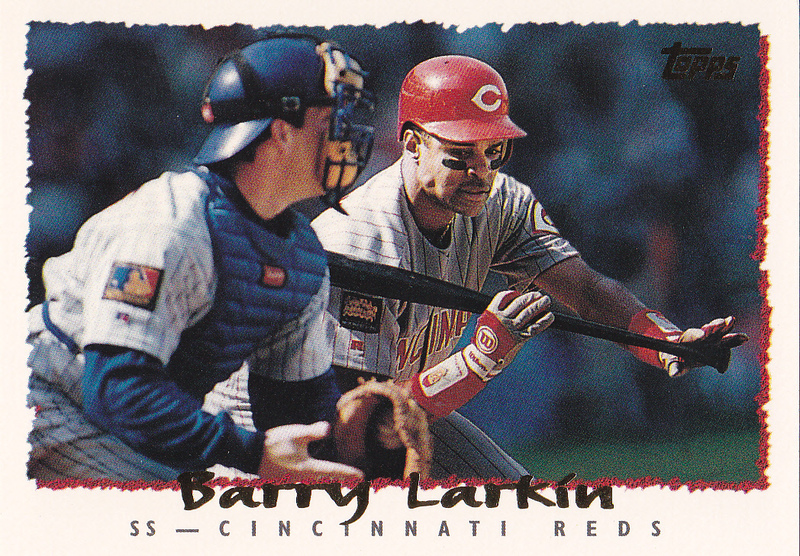 I didn’t have to think twice here – really good pic of Larkin pulling back a bunt. Also, 1995 was his MVP year. 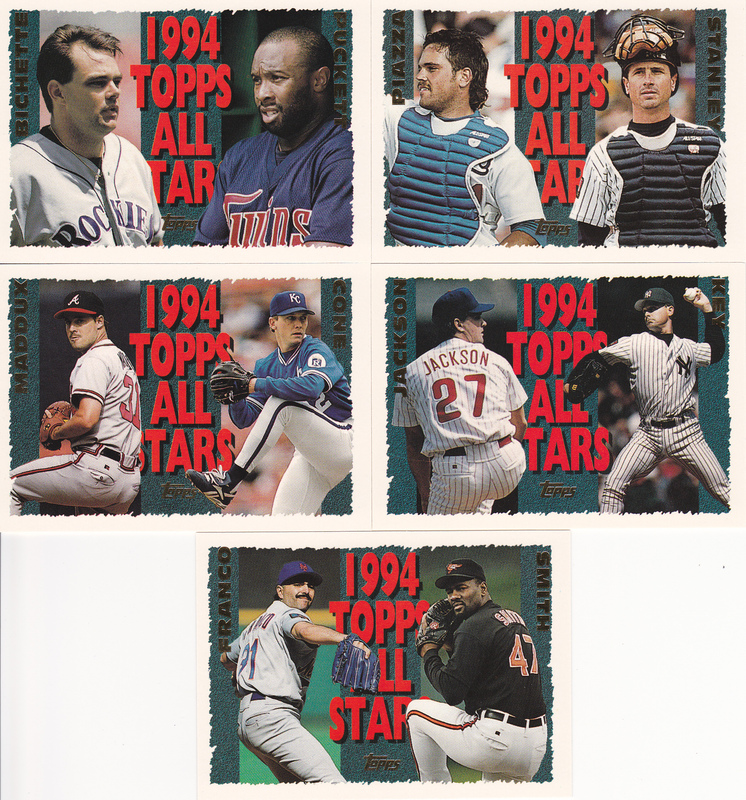 Other Notable Cards: Notable can be for good or bad, and in 1995 Topps tried to get cute and modify some tricks Upper Deck had already been doing for 6 years. That was a misguided effort in my opinion – these just look hokey and/or fake. The one exception, for me at least, is the O’Neill, which I like because that was something that Yankee fans did. This is one of my favorite sets of the ’90s, but I don’t have any plans to complete it, which kind of tells you how I feel about ’90s sets. Haha – yeh, it’s an OK set but it’s just not all that notable.